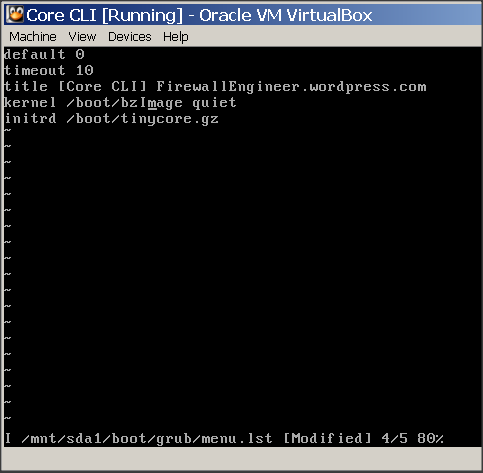 I’ve just downloaded the smallest version of Tiny Core Linux which is only 8 MB and trying to install it. 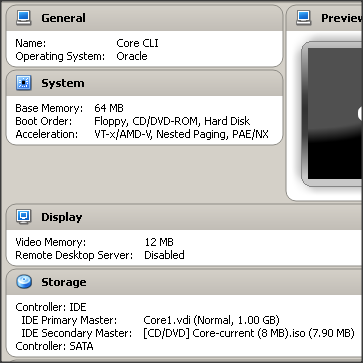 I try to keep the hardware requirement as minimum as possible to save my CPU, RAM & Hard Disk resources. I’ve followed the steps here to install it. Find a disk you want to install on. 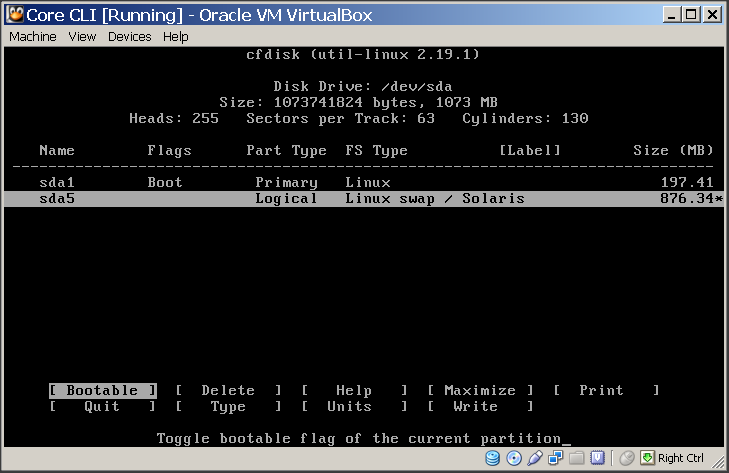 The following command will list your disks and their current partitions. Remember which disk will be used for installation. For the purposes of this guide, /dev/sda will be used. 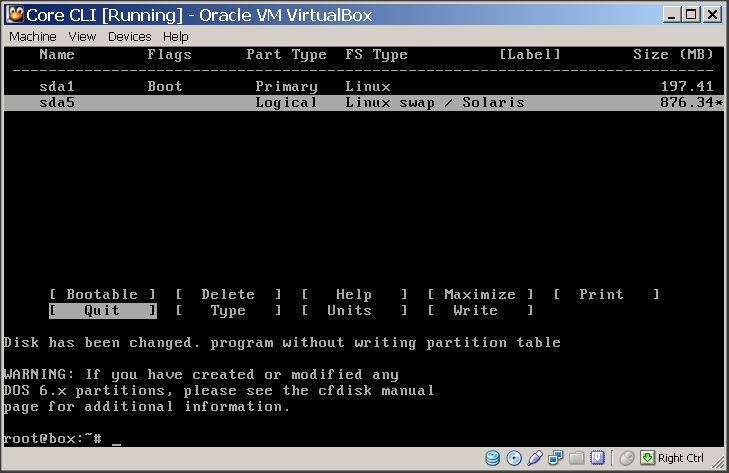 The cfdisk command will be used to partition the hard drives. Use the left and right arrow keys to navigate the bottom menu, and press Enter to select an option. Format the new partition. 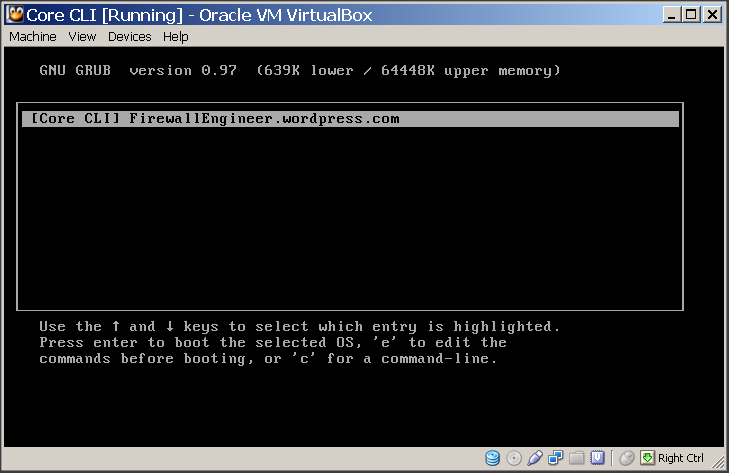 This demonstration will use ext3. 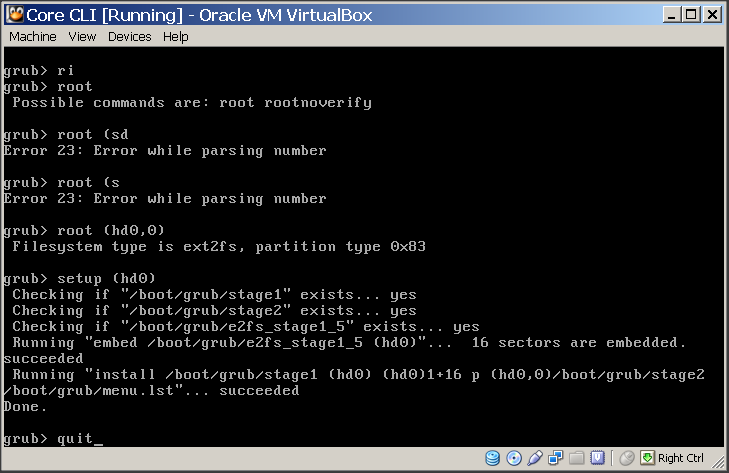 You may format other partitions here as preferred. Copy over TC system files and prepare for PPR mode. 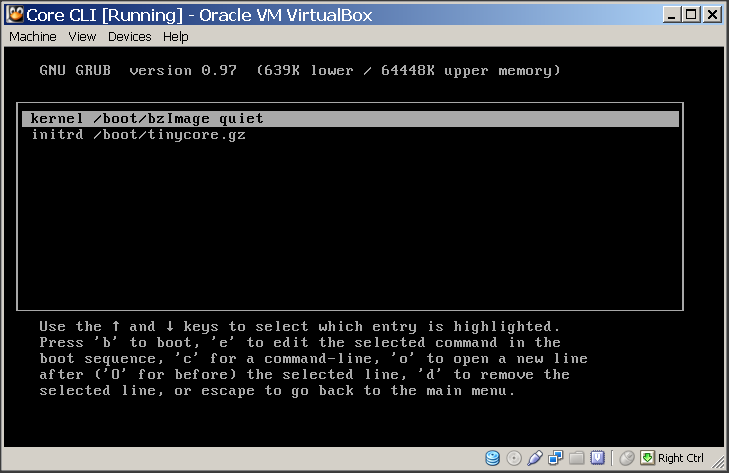 This will copy over bzImage and tinycore.gz. 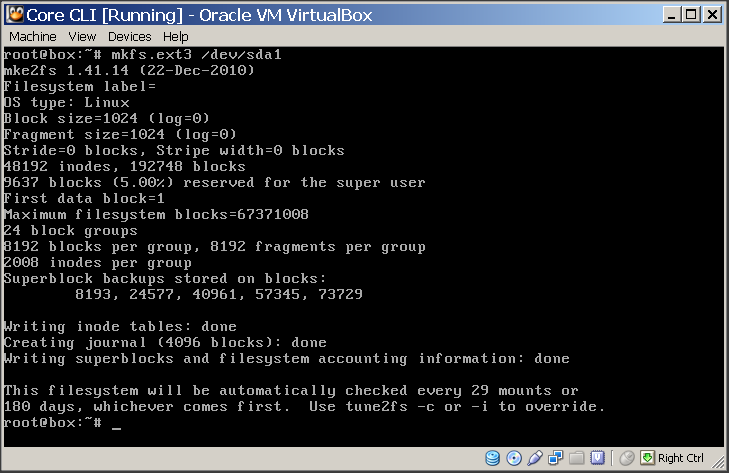 Ignore any “omitting directory” warnings. To test, reboot the system.